One of the biggest costs when hiring a car is the extra insurance you must purchase to cover yourself in the event of an accident. Everyone wants to save money on this aspect of car rental, but there might be some attractive options out there that will actually cause you more trouble than good. First of all, you should learn about your personal automobile policy before you are going to rent a car. Find out if you are covered already and ask them what they suggest for additional insurance. Usually, your personal insurance company will be a really great resource and will also be quite helpful on this subject. It is still a good idea to get some sort of written statement from your insurance company outlining what you are covered for in the car rental insurance policy. Unfortunately, your home policy will not cover all of the liability you need to take out. 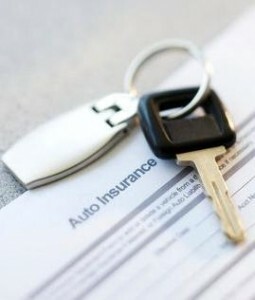 There are standard insurance charges from almost all car rental companies that are mandatory. However, these charges are calculated into the price of the car and you will not need to shell out any extra dough at the pick up counter unless you want to get some premium coverage. All of the cars on the [GET] Rental Car come with the necessary insurance already included in the price of the vehicle. There are some websites out there that are offering driver’s independent car rental insurance. This seems like an unnecessary option because all it does is bring in another company to the equation. Furthermore, you amount of money you will save between the insurance from the car rental company and the independent insurance is negligible. Even if you can save 3 EUR per day, it is still a risky scenario. You don’t even know if the insurance will be accepted by the car rental company. Furthermore, if they do accept the insurance, you might have to buy the compulsorily coverage from the car rental company. In the end, it is best to just stick with the insurance offered by the car rental company or to do a combination plan with your personal policy. It is the best way to eliminate the extra party in the car rental process, it will save you a lot of hassle and it will probably save you money.